For many visitors going on an African safari, seeing the Big-Five is a high priority. They just don’t feel their trip is complete without seeing Lions, Rhinos, Buffalo, Elephant and Leopard. The traditional grouping of ‘big 5’ animals were so-called by the big hunters of the last two centuries. These 5 mammals were considered the five most dangerous animals to hunt - primarily because they fought back! Africa's big-five were characterized as lethal adversaries, and their reputations as crafty animals, with strong instincts for survival grew. They had few natural enemies, were difficult to track and very dangerous if wounded or cornered. Visitors to our national parks today, armed with cameras and not guns, have inherited these ideas about the big five, and for many, sightings of these so-called “Big 5” are of the utmost importance. 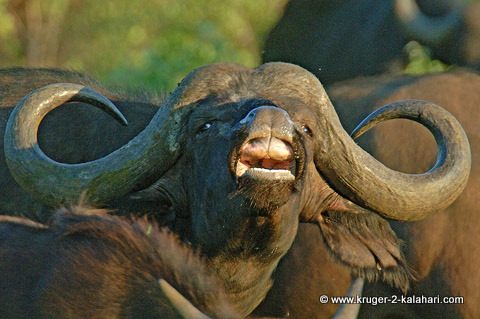 Buffalo, or Cape Buffalo as they are also known, are brownish-grey and can weigh up to 800kg. Herd numbers can be in the thousands, especially during winter when water is scarce. In summer they tend to break up into smaller groups. We have found buffalo to be placid - they can be inquisitive and will constantly sniff your vehicle while you are watching them. If there are babies in the herd be careful, as the females can get aggressive if you get too close. Buffalo are found in the Kruger, Pilanesberg (where they are a rare sighting), and throughout the parks of Botswana and East Africa. Buffalo are not found in Etosha or the Kgalagadi. The African elephant is the biggest land mammal and is much larger than the Asian elephant. •	Females with babies - they are dangerous and unpredictable. Adult elephants can weigh up to five or six tons and if they are annoyed by visitors they have been known to charge motor vehicles with severe consequences to the occupants! Elephants are found in the Kruger, Pilanesberg, Etosha, Botswana and East Africa. They are not found in the Kalahari. 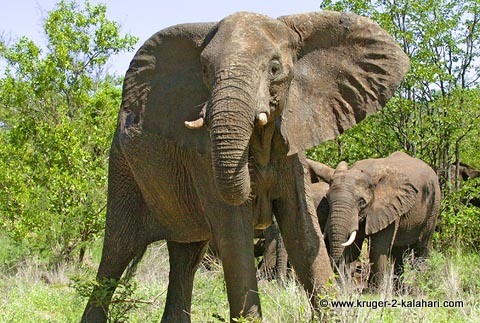 The Kruger Park is famous for their big tuskers including the Magnificent Seven elephants. 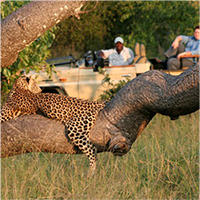 The leopard is, to us, the most beautiful, secretive and graceful of the Big-five and is the most difficult to find. After making a kill, leopards tend to drag the carcass up a tree so that their kill is not snatched from them by hyenas or lions. 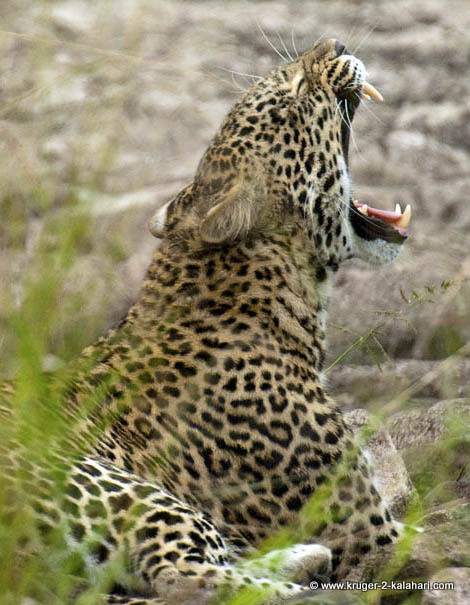 The leopard's favoured prey is impala, springbok, bushbuck, vervet monkeys, baboons and warthogs. Leopards are loners and are mainly nocturnal but we have seen them throughout the day as well in the Kruger National Park. Leopards are found in the Kruger, Kgalagadi, Pilanesberg, Etosha, Botswana and East Africa. Lions are the top predators in African national parks and the males can weigh more than 200 kilograms. Lions can eat up to a quarter of their bodyweight at each meal! Lions tend to hunt mostly at night but we have seen them hunting in Etosha, Kruger Park, Kgalagadi and the Pilanesberg during the day. The lion's favoured prey is zebra, wildebeest, buffalo, giraffe, and warthogs. Lions are social animals, unlike leopards, and live in prides with females doing most of the hunting while the males protect the pride and its territory. Lions tend to be the top sighting of the big-five and some visitors, when they find lions, will sit with them for the whole day! 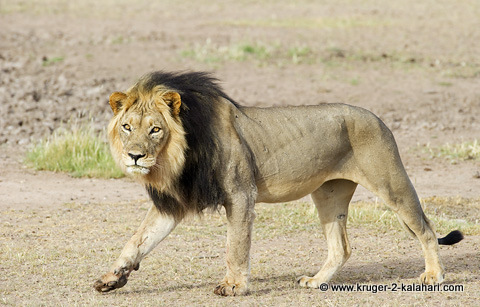 Lions are found in the Kruger, Kgalagadi, Pilanesberg, Etosha, Botswana and East Africa. There are two types of rhinos found in southern Africa; the black and white rhino. The black rhinoceros is a browser (eats from trees and shrubs) and has a hook-shaped mouth. It is darker and smaller then the white rhino. It tends to be more aggressive than the white rhino so don't be be surprised if one charges you! Accordingly, the black rhino was one of the hunter's big-five and not the white rhino. Black rhinos are generally solitary unless you see a mother with its calf. The black rhino is a common sighting in Etosha, especially at night at the Okaukuejo and Halali waterholes. They are also found in the Pilanesberg, the southern Kruger, Botswana and East Africa. Rhinos are not found in the Kgalagadi. White rhinos can weigh up to 2 tons with the light-grey colored white rhino being the second-largest land mammal after the elephant. The white rhino has a square upper lip, heavier build and longer and narrower head than the black rhino. 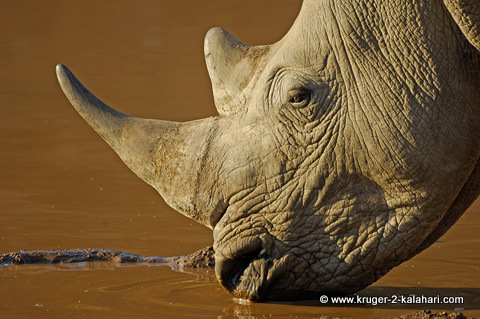 The white rhino is a grazer (eats grass) and drinks and wallows regularly so is found close to dams and waterholes. 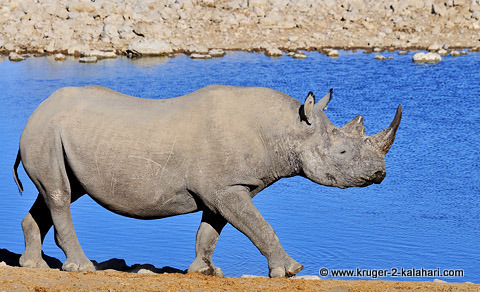 The white rhino is a common sighting in the Pilanesberg and the southern Kruger. 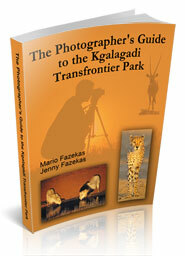 It is a rare sighting in Etosha and is not found in the Kgalagadi. The Big-five are all about horns, tusks, claws and teeth, hence their fearsome reputation with hunters. They are, however, not automatically agressive but will retaliate if harassed or if they feel threatened. Read Daryl Balfour's interview where he discusses how Tshokwane, one of the Kruger Park's Big-Tuskers, attacked him because he got too close to the bull elephant. Simply register and you will get access to the free Big-5 course. • Africa's Small-Five:Ant Lion, Buffalo Weaver, Elephant Shrew, Leopard Tortoise and Rhino Beetle. 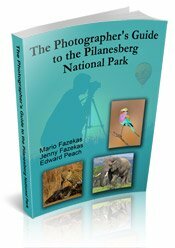 • The Photographic Big Five:Download our 6-page article on the animals we consider the 'Photographic Big-five as they are a challenge to find and photograph! • The Big-Six Birds:Kori Bustard, Lappetfaced Vulture, Martial Eagle, Pel's Fishing Owl, Saddle-billed Stork and Southern Ground Hornbill. • The Big Five Trees:Baobab, Fever tree, Lala Palm, Sausage tree and Umbrella Thorn. 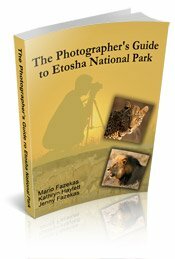 • Africa's Elusive Eleven:If you thought the Big-Five animals were a challenge to find and photograph, see what your score looks like with these elusive eleven! • The Magnificent Seven:These are seven elephants in the Kruger Park that had the biggest ivory tusks. They have all died but have been replaced by a new crop of 'emerging tuskers'. • Other photogenic animals: Common antelope, rare antelope, common mammals and other predators (other than ones in the super-seven).